James Johnston built his house between 1853 and 1855. 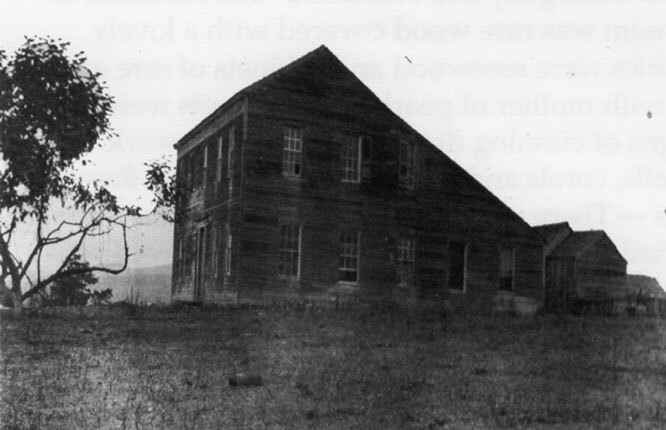 It is believed it was modeled after the family home in Gallipolis, Ohio. The early era ended sadly with the death of daughter Alice, 4 years old, in November 1858 and Petra's death on April 30, 1861. Petra and Alice are buried in Our Lady of The Pillar Cemetery on Route 92 , while James and his brother, John E. are in the Odd Fellows Cemetery with 14 other family members. Family accounts state that James' sister-in-law, Glorian Griffing, came to California around Cape Horn, saw the house emerging from the fog and vowed she would find the house and its owners. In the process, she met James' brother Thomas whom she married on April 26, 1863 in Half Moon Bay. During this period, the household was run by Petra's mother Ursula Valenzuela de Jara, known as Melita or "Little Mother", and James' sister Isabel who came from Ohio in 1860 and lived there and later with James' brother William in the house across the road until her death in 1900. James and Petra's three sons were raised there during this period but James lived at least part of the time in San Francisco and died there on October 2, 1879. The house was a spectacular landmark, visible from the ocean and it's location is noted on coastal charts from this era. 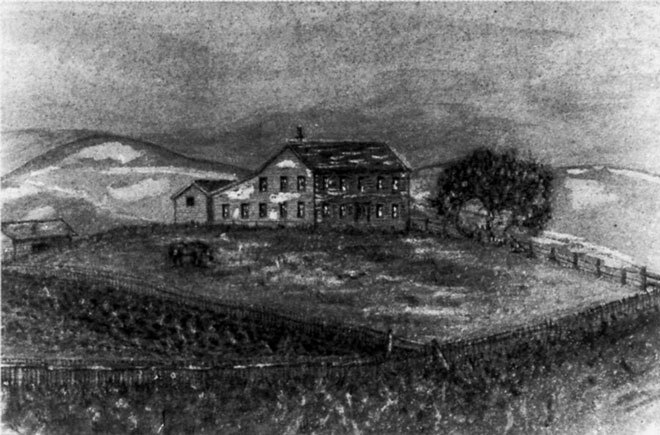 Davenport Bromfield sketched the house in watercolor and crayons in 1890 and gave the picture to James' son, John Francis Johnston. It shows the full extent of the salt box and the back buildings from the north. A photograph of the house from the south postmarked 1909, just 16 years later, shows the house, weathered and no longer white. One possibility is that the earthquake of 1906 resulted in the destruction of the rear of the house. However, there was little damage to other structures in Half Moon Bay at that time. James's son, John Francis, inherited the house. John F. Johnston leased the house to Angelo Cassinelli in 1912 and sold him the property in 1916. It was eventually sold by E.J. Cassinelli in 1965.